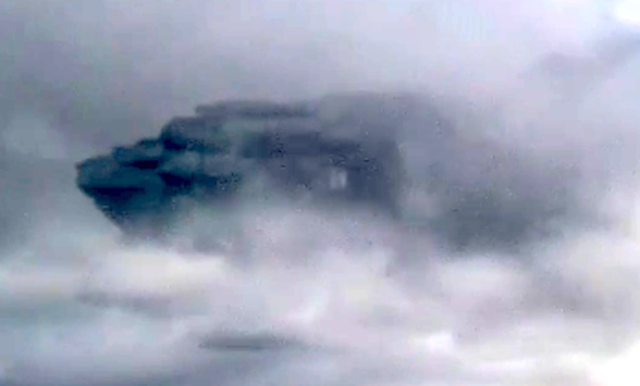 UFO SIGHTINGS DAILY: UFO Appears In clouds Over Peru Showing Powerful Ship, Aug 2016, Video, UFO Sighting News. 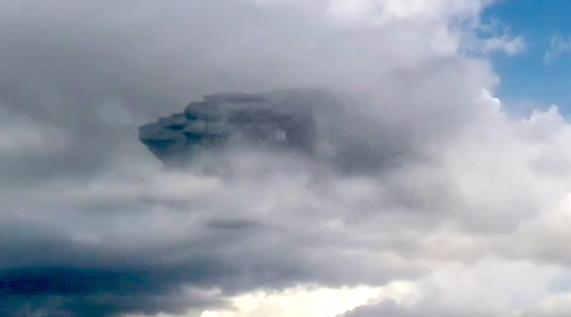 UFO Appears In clouds Over Peru Showing Powerful Ship, Aug 2016, Video, UFO Sighting News. This video looks legit, and its 100% proof that UFOs do hide within clouds of their own making. This UFO looks like its made from the same non reflective black buildings I and others have found on every planet and moon in our solar system in NASA photos. This UFO also seems to be similar to another seen in a cloud over china this year (click here to see post). Shocking, if true would confirm that we are guarded by extraterrestrial intelligence or existing experiments related to this type of technology on our planet. A cameraman left his video equipment recording the sky to generate a power timelapse effect. The passage of a time to pick up your computer for a previous edition discovered what could be a mother ship that appears out of the clouds. Mysterious video that comes from Freedom, Peru. Mysterious phenomenon in an area where others had recently been recorded sightings of white objects floating in the sky. Recorded in August 2016 by Marcos. The last word you have.